Ryedale House: conversion to residential? I’ve written about this building before, as part of a short series of ‘office block studies‘, when it became obvious that several of these 1960s/70s blocks built for the huge numbers of staff employed by large organisations seemed likely to be gutted and remodeled as residential accommodation, a change of use more suited to 21st century needs. 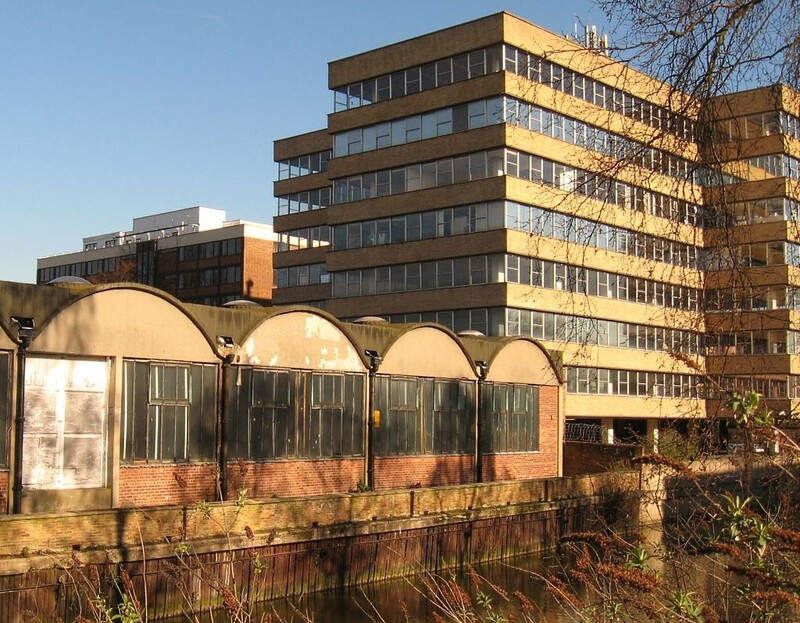 … although the building occupies an excellent and sustainable location within York City Centre, close to the railway station and local amenities, the building remains vacant. 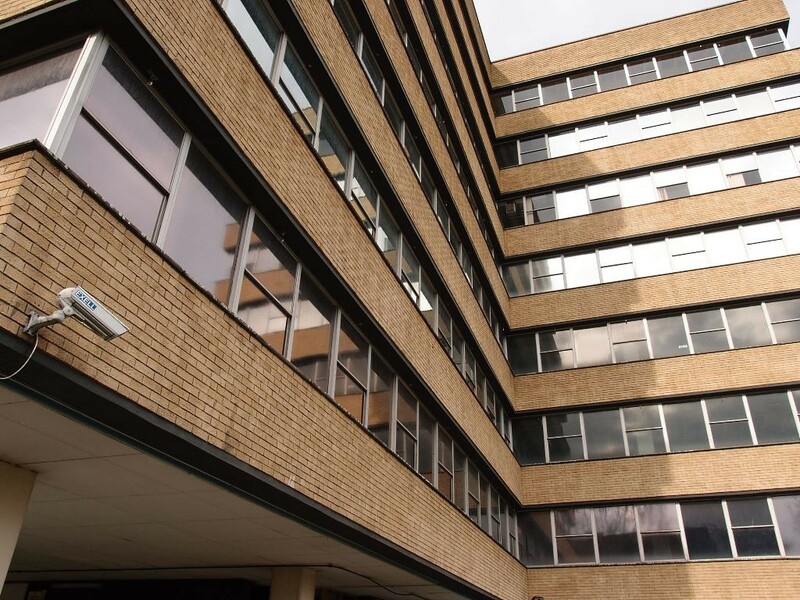 This implies that office uses at Ryedale House are not currently attractive to the market, and therefore its conversion to residential provides a viable opportunity to invest in the long term future of the building in the heart of the City Centre, increasing the vitality of the local area. Ryedale House tends to be seen as ugly and a blot on the landscape, because it’s big and it’s modern. But if you see it in bright light from the other side of the river, with blue sky behind it, it’s handsome in its own way, and part of the story of the 20th century development of the city. 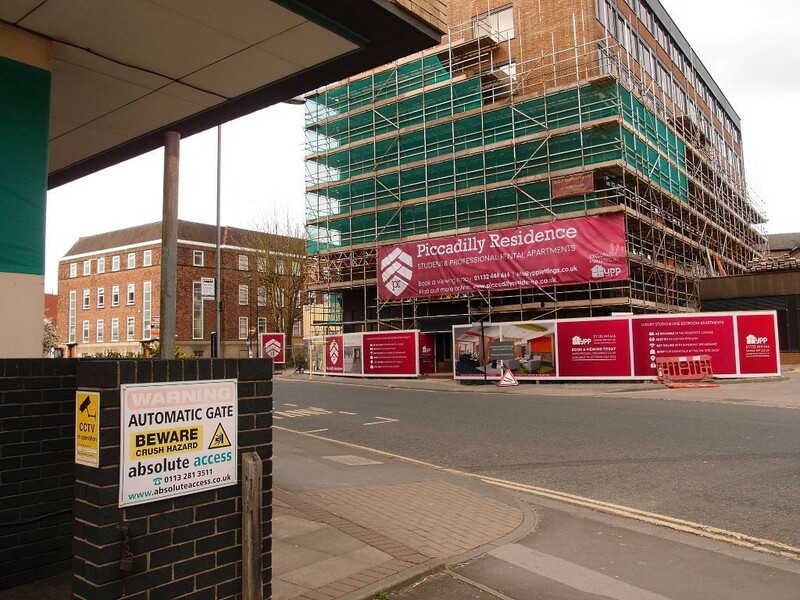 Opposite Ryedale House is the Piccadilly Residence development, pictured below earlier this year. It is I think now completed and all its apartments are taken, according to the website. So perhaps there’s enough demand for the 73 apartments proposed in Ryedale House. Future developments will presumably fill the length of Piccadilly to its junction with Merchantgate with similarly tall light-blocking buildings. Ryedale House was the first and biggest on this street, but knocking it down wouldn’t improve anything, so probably best to remodel and reuse? So many people must have worked in Ryedale House. If you have memories of it, or thoughts about the change of use, comments are welcome below.